I made this Sungrass farming guide to help out players who want to farm the herbs instead of buying them from the Auction House. It's recommended to have around Herbalism 230, so you won't get herb fragments. Sungrass is usually found in open areas. Thousand Needles is the best place to farm Sungras. 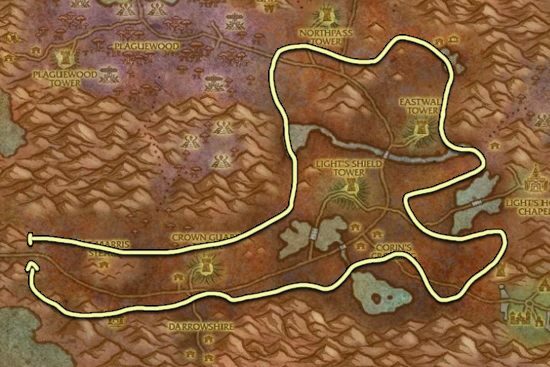 It's really easy to follow the farming route since you basically just have to follow the outer edge of the map, and the most common herb here is Sungrass not like in Eastern Plagueland where you will also get a lot of Khadgar's Whisker. If you don't have a flying mount I would recommend to go to Eastern Plaguelands instead. Not as good as Thousand Needles, but still a decent place. 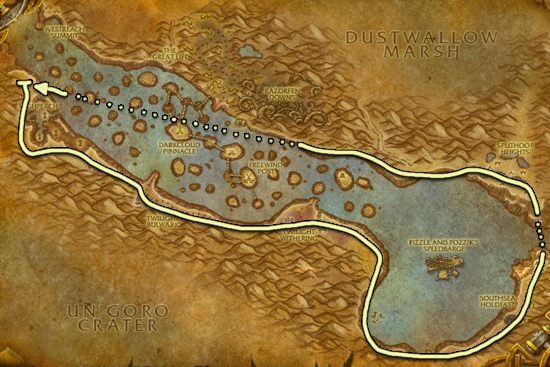 If you don't have flying mount, this place is better for you than Thousand Needles.